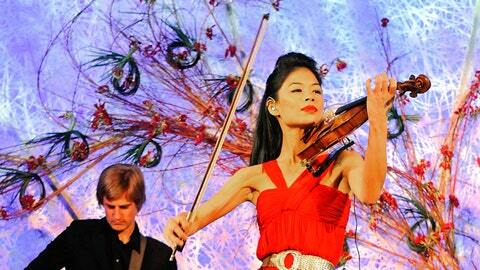 Recording artist Vanessa-Mae will also be competing with the Thai team at the Sochi games. Classical-pop musician Vanessa-Mae will be swapping her violin for skis to compete at the Winter Olympics. The musician’s manager Giles Howard says the classical-pop violinist has qualified for the Thai team at the Sochi games. The International Ski Federation published rankings on Monday confirming Vanessa-Mae has met the qualifying criteria to compete at Sochi. The federation’s alpine media coordinator, Ana Jelusic, told Britain’s Press Association news agency that the 35-year-old musician ”ticks all the boxes,” having gained the required level of points in at least five slalom or giant slalom races. Singapore-born, London-raised Vanessa-Mae Vanakorn Nicholson competes as Vanessa Vanakorn, using the surname of her Thai father.